Water damage causes significant destruction to building materials, so it must be taken care of professionally by our water damage Atlanta company, which is why our water damage Douglasville team uses the latest drying technology for water removal. By the time we finish the job after a pipe burst or toilet overflow, houses are sanitary and completely dry. 911 Restoration Atlanta knows what you need to keep your home tip top shape, because we have over 35 years of experience in the industry. Our water damage Douglasville crew can handle all your water damage restoration services, from mold removal to filing the insurance claim. We strive to always put the customer first because we value professionalism. When leaks are found inside your property, mold can grow and your insurance can lapse in as little as one day. Therefore, you should call our water damage Douglasville experts as soon as possible and we will respond within 45 minutes to offer the best water removal. Who do I Call for Water Damage in Douglasville? 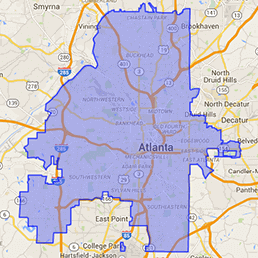 Call our water damage Douglasville professionals for same day service water extractions. With speed and professionalism being the most important elements of water repair, we make sure to prioritize the same. We are available 24/7 and 911 Restoration Atlanta techs are IICRC certified to bring you the best disaster restoration services. Call our water damage Douglasville technicians when your home floods and we will be there within the hour to issue a free inspect to find mold and the best remediation techniques to return your property to its proper condition. Our water damage Douglasville staff will walk you through shutting down your utilities while on the say to the disaster. By turning off your water line and electricity you reduce the amount of damage caused by water and the chance of electrocution. If you can remove furniture safely, do so to save it from the encroaching gray water. We will complete any steps you could not as soon as we arrive, including filing your water damage claim. We are working with all insurance companies, so call our water damage Douglasville specialists when you need help with your homeowner’s insurance coverage and water recovery. Homeowner’s insurance covers water damage Douglasville services for homes that are well maintained with regular preventative maintenance, but if negligence is involved, your insurance likely will refuse the claim. In order to remain in god standing, insulate your water line against winter cold, clean your rain gutters during the spring rains, and test your appliances such as sump pumps water heater and fire sprinkler. These steps will prove you are a responsible homeowner deserving of full coverage. However, if the floods started outside the home, you will need a separate flood insurance policy. You should carry both policies anywhere that hurricanes are active. According to the Insurance Information Institute, water damage is a highly common cause of insurance loss, yet 93% of losses are preventable. Take these steps to protect your home from such occurrences. If leaks still manage to penetrate your property, call our water damage Douglassville operatives and we will show you how we are the best company in the industry because we are working with all insurance companies to limit the stress on you. What is the Best Water Damage Company in Douglasville? The best water damage Douglasville company is 911 Restoration because we understand the extent of damage caused by returning water. We help you with the physical, financial, and emotional side of the disaster. Our professional water removal will have your home back to normal fast. Our affordable price and willingness to handle your insurance paperwork keeps the job within your budget. Our customer first policies make sure the situation is as easy on you as possible. Douglasville, Georgia is a high risk area for natural disasters. Hurricane Katrina raked through the city causing a swatch of destruction. In 2009, over 18inches of rain fell in one day, destroying homes and roads alike, resulting in a “disaster area” declaration. In 2008, two tornadoes touched down in the same year, resulting in massive property loss. 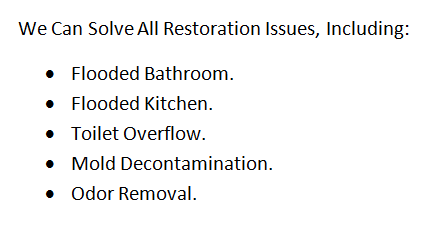 If you ever feel the unfortunate effects of natural disasters, call 911 Restoration and our water damage Douglasville personnel will be there as soon as possible to give your home a fresh start.